The MBA Pharmaceutical Management is designed for experienced professionals already working in the pharmaceutical industry or related sectors. It has been designed to equip you with essential management skills and theory with a specialist pharma focus on the key industries and challenges. The course will give you, as an industry specialist, the opportunity to apply management theory and concepts to your sector across a range of different subject areas. You will develop your knowledge and competences to set yourself apart in this dynamic and competitive sector. Why study the MBA Pharmaceutical Management at Middlesex University? This programme provides all the advantages of a traditional MBA for those looking to leverage their knowledge and experience of the pharmaceutical industry. The programme is a joint operation between Informa (Knect 365 Learning) and Middlesex University Business School. Through our collaboration, we have created a programme which brings together academic knowledge and practice in a unique way, drawing on our faculty as well as the experience of those engaged in practice. Your learning experience is enhanced with many of our tutors experienced practitioners and consultants in the sector themselves. You can view full course details for this course on the Knect 365 website or request more information by emailing the Knect 365 team. Knect 365 is our partner in delivering this course, combining the academic expertise and reputation of the Middlesex University Business School with the industry conference and training expertise of Knect 365, part of Informa Plc. Knect 365 manages course enrolment on behalf of the University. What will you study on MBA Pharmaceutical Management? awareness of your unique strengths and abilities. 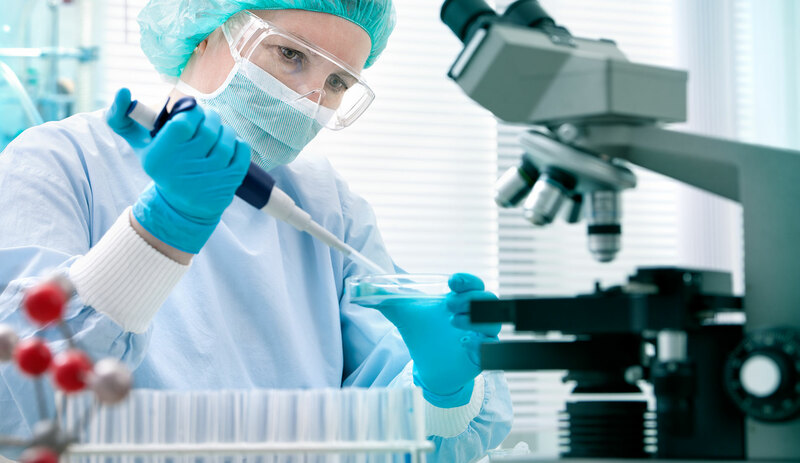 This module will examine the current structure of the pharmaceutical and broader life sciences industry by looking at the factors that are shaping the industry. You will also consider new and emerging business models. This highly topical module looks at the critical issues of finance and risk. It is designed to help you develop an enhanced knowledge of sector financing and the management of the major risks in the pharma sector. In particular, you will understand the full range of different sources and methods for financing and raising funds for investment within the pharmaceutical industry. You will also explore key concepts in investment appraisal, funding in the life sciences industry and risk management theory. This module aims to equip you with a detailed understanding of the key developments in, and thinking derived from, the study of strategy. You will explore models and theories of strategy and their application in the business environment as well as critically appraise where and when such models are useful and how to utilise them. You will explore fascinating and relevant examples and exercises that illustrate these concepts with the intent of building your strategic thinking capability. This module will focus upon the critical issue of people and their performance in the particular context of the maritime industry. It will illustrate how the processes of contemporary human resource management supports organisational performance and will explore the key elements of the HR cycle including resourcing, managing performance and developing and rewarding staff. You will identify areas of overlap between management and leadership, and investigate competences and behaviours associated with management and leadership. You will be encouraged to develop leadership behaviours that will enable you to manage performance as well as lead change to improve overall organisational performance. This module explores marketing theories and key concepts, explains the use of conceptual frameworks for understanding marketing phenomena and will equip you with the ability to analyse marketing environments and strategies. You will learn to apply appropriate techniques based on insights gained throughout. This module will allow you to understand the process of securing global intellectual property protection for pharmaceutical products and recognise the various steps and inputs required in the discovery, development and authorisation of pharmaceutical and biopharmaceutical products. You will be able to develop an awareness of the various routes to commercialisation on a global basis and have a critical appreciation of the implications of patent expiry. This module provides you with the means of further developing and integrating the skills and knowledge acquired on the MBA through application to a specific organisational issue or problem. You will be enabled to demonstrate proficiency in relation to scoping the issue(s)/problems, consideration of appropriate literature, collection and analysis of data, and assessing the financial implications, such as any cost/benefit analysis for justifying specific recommendations and consideration of implementation issues. How is the MBA Pharmaceutical Management taught? The programme is structured using a tried and tested format of online learning. It is delivered completely online, via my UniHub, our 24-hour access online learning system. There are no requirements for physical attendance at any point in the course. You will engage with tutors and fellow students in both synchronous and non-synchronous communications. Online materials, audio visual content, and a variety of e-learning tools are all delivered via the UniHub. You will also be involved in online group discussions and group learning activities. The assessments are varied but, in all modules, are based on coursework assignments and a contribution to online discussion. There are no examinations in the traditional sense. You must have a minimum of two years' managerial or professional experience in a full-time position. Alternatively, if you do not hold an honours degree you will be required to demonstrate more extensive and successful managerial experience (managerial responsibility for people and/or functions and/or technical expertise). You may also be required to complete a GMAT test which measures a candidate's academic potential for advanced management studies. This is the standard and uniform predictor of graduate-level performance the University uses for candidates applying from all over the world from a wide range of undergraduate colleges and universities. Undertaking an MBA requires considerable commitment, not just from a financial perspective but also the time allocation required to complete it. The nature of a distance learning course requires you to adopt a disciplined and independent approach to your studies, so you will need good time management skills and self-motivation. As part of your assessment you will be expected to interact regularly with your tutors and fellow students. If English is not your first language you will also be required to demonstrate an appropriate level of competence. Applications for this course must be made to Lloyd's Maritime Academy, our partner for this course. Please visit Lloyd's Maritime Academy's application page for more details and to enrol online. The fees below refer to the 2018/19 academic year unless otherwise stated. How can the MBA Pharmaceutical Management support your career? An MBA is a “post experience” course and this programme is for industry professionals wishing to deepen their understanding of both the industry and of management disciplines, and to contextualise their experience using the knowledge, frameworks and theories presented for discussion. This is why you are required to have relevant full-time professional experience before joining the course. Whatever your motivation, the rigorous academic approach, experienced faculty, internationally engaged peers and proven online learning environment of the MBA will help you realise your leadership potential and fast-track your career. David is an experienced and versatile applied economist who, during his varied career, has worked in EU affairs, management consultancy, commercial representation to Government and the electricity generation industry (Scottish Power). With skills in both micro and macro economics, as well as experimental economics, David has coordinated studies on crime, transport and national and international economic policy and lead teams involved in international economic assessments of the proposed deeper integration of the ASEAN group of countries; EU interests in South-East-Europe; and impact assessments of EU trade relations with the Gulf States. David is an experienced industry consultant who has closed a number of major deals for inward and outward licensing for pharmaceutical products and technologies. He also undertakes Licensing & Business Development training for multinational pharmaceutical companies and training organisations. Brian has worked in the pharmaceutical and medical technology sectors for many years, first as a research chemist then in an ascending series of marketing and strategy roles in large multinational firms. Since 1998, he has divided his time between research, writing and advising with a focus on advising pharma companies on strategy.